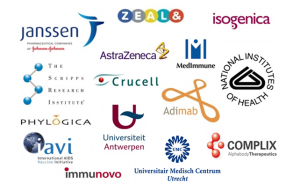 Pepscan applies its proprietary peptide technologies, peptide chemistry expertise, immunology know-how and its strong track record in contract research and R&D collaborations for Drug Discovery Services for companies and not-for-profit institutions. We are in particular approached for our unique expertise in protein mimicry and conformationally constrained peptides. The combination of our proprietary CLIPS peptide technology, synthetic Hit Seeker peptide libraries and HiSense arrays has resulted in a unique technology platform with unprecedented opportunities for peptide drug discovery and optimization. Our expertise in drug discovery and optimization can be applied for broad range of peptide-based drug discovery projects, such as therapeutic peptides, antibody discovery, and therapeutic vaccines. Pepscan’s capabilities in drug discovery services are increasingly recognized by pharma and biotech companies, research institutions and universities. 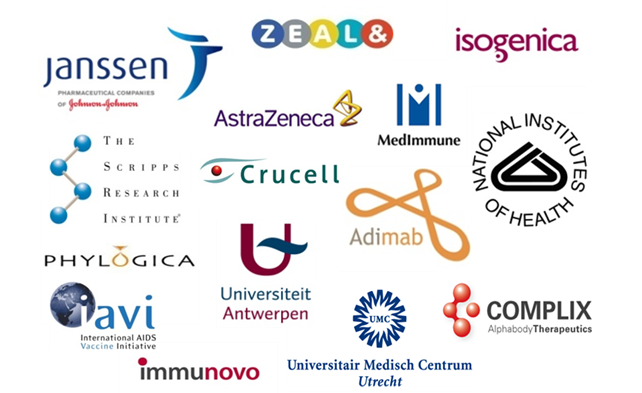 Next to a multitude of non-disclosed partnerships, this yields a growing list of collaboration partners, as illustrated above.